An exchange about the super exciting ways I spend my free time. Me: You know, I think having the Aerogarden on all of the time is actually helping my Seasonal Affective Disorder a lot since the lights are so bright. GC: I think you actually need direct contact with the lights for a certain amount of time for the positive effects to take place. 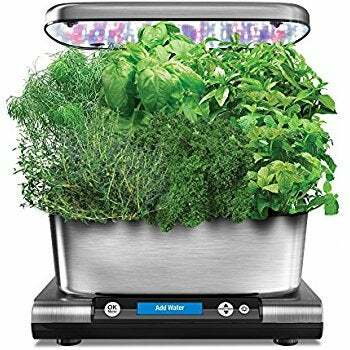 Me: My face is all up in it frequently, I like watching how fast all of my herbs are growing! GC: You know you just admitted that you like watching grass grow.